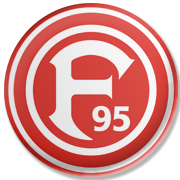 Mainz did well to roll over Freiburg 5-0 in their last home game in the Bundesliga, which is surely giving fans a reason for optimism ahead of the visit of Fortuna Dusseldorf. As expected, the newcomers were beaten by Bayer Munchen at the weekend, but they will compete in the German top flight next season and nothing else matters. Mainz are a real force to be reckoned with at home and seeing that they hammered Freiburg at their OPEL-ARENA earlier in April, home win should be considered.